Whilst others will be able to flourish in our more generic Pilates Mat and Pilates Fit sessions. These sessions still have quite a small ratio of clients to Pilates instructor with a maximum of just 10 clients at our Manuka studio and 8 at our Woden studio. All sessions are available via appointment only. This process helps prospective Pilates clients to get started the right way. And after the client gets started with regular sessions the booking process also assist with accountability, so that the client can build excellent Pilates Exercise habits. As you continue your Pilates Journey you will have access to our App and your personal online account, as well as our helpful client centre to make bookings quick and easy. 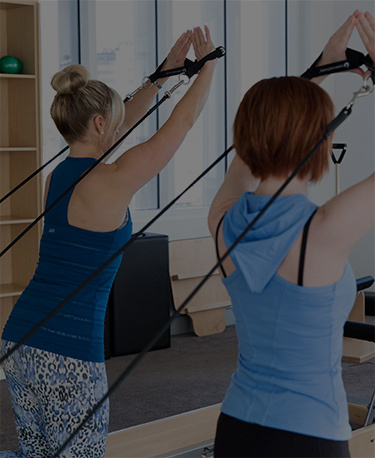 You will have access to both our Pilates studios in Manuka and Woden. We can help you decide which type of session will be best for you to start with. Usually this is best achieved via a quick phone call from one of our senior instructors. Enter your details in the form below and we will contact you to answer your questions and assist you with choosing the best starting option for you.